Our Community Trust are starting new Inclusive Football sessions for Youth Disabilities and as a DSA we are happy to support and promote this. 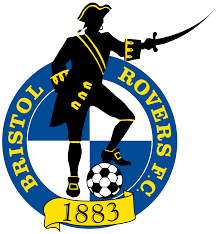 Bristol Rovers Community Trust are launching brand new Inclusive Football sessions for young people with disabilities. These new sessions will start next Wednesday 8th November at Horfield Leisure Centre from 5.00pm – 6.00pm for ages 6 – 16 years old. The sessions will be led by the Trusts Community Coaches who will create a fun and inclusive environment for all involved. There will be 2 sessions running at the same time, one for primary ages (6-11) and the other for secondary ages (11-16). By teaming up with the Gloucestershire Football Association and Everyone Active the cost has been kept down to the incredible low price of just £1 per session. This is an exciting new project for the Community Trust and if you, or know someone who may be, interested in attending please contact Matt via email mattbennett@bristolroverscommunity.org.uk or feel free to turn up on the night. We hope this goes well and look forward to hearing more from our Community Trust and the work they do.